Like most of the others I only used 3/4 tsp. salt and added 1 tsp. vanilla. 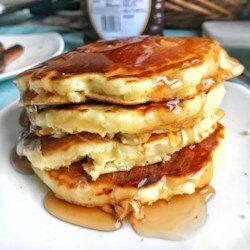 These are the best pancakes I've ever made at home, thanks for the recipe! !